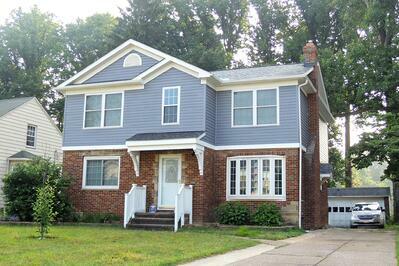 GET $2,500 OFF YOUR NEXT HOME ADDITION! 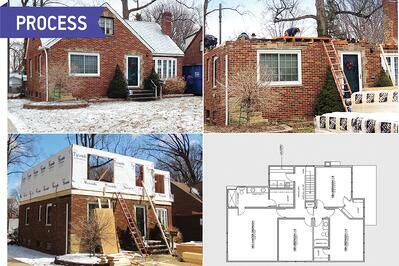 Special Limited Time Offer on your next Home Addition Project with Smartland - Cleveland's No. 1 Home Addition Design-Build Company! Call now or fill out the form on the right and use the promo code "HAP-2500-OFF" to get $2,500 off your next home addition project with Smartland. Don't let your home addition dreams be delayed any longer, ask your Smartland representative about our new unbeatable financing options and get your project in motion! We’ve helped our neighbors in Cleveland and across Northeast Ohio create more livable space that adds luxury, comfort, and storage to their homes. Our goal is to help you bring your plans of a more spacious home to life with a design-build that adds to your home’s value. From a sunroom addition that creates warm living space to that master suite addition with your own personalized master bathroom you’ve always dreamed about, we can create a custom home addition that matches your design tastes and attention to detail. At Smartland, we’re experts in renovation, remodeling, and design-build services, and we’re one of Northeast Ohio’s top home addition contractors. When you work with us, our focus is to understand your goals and then make the process hassle free. We handle all the hiring and managing of qualified contractors, subcontractors, plumbers, electricians, painters, and skilled technicians. We’re your one-stop home addition company. We’ll not only help you build your custom home addition, we’ll also expedite the process with expert design assistance, professional financing advice, and construction management. Our comprehensive approach to home addition design-build eliminates communications problems between contractors, and our lengthy list of satisfied customers verify our integrity, attention to detail, and superior craftsmanship.